NEW! 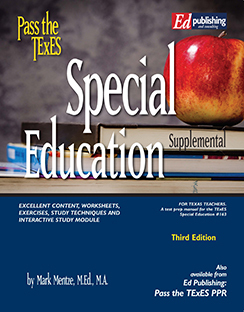 The Pass the TExES Ebook Online Module for the Special Education Supp #163 is available for purchase now! You can preview our modules by selecting the yellow button above to view the sample of the Bilingual Supplemental module. All of our study modules are web-based and are designed in the same way...you can work on them at your own pace. 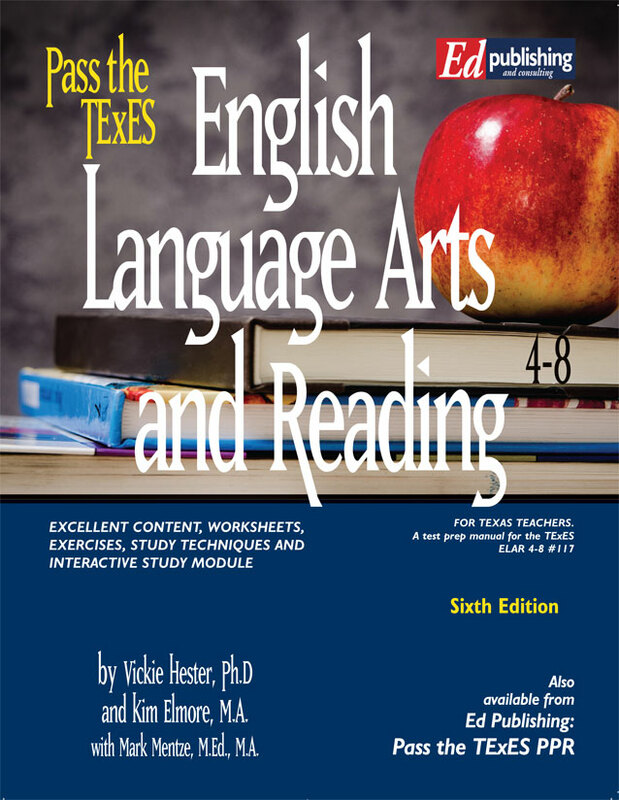 They actually include the entire Pass the TExES EBOOK for this program! 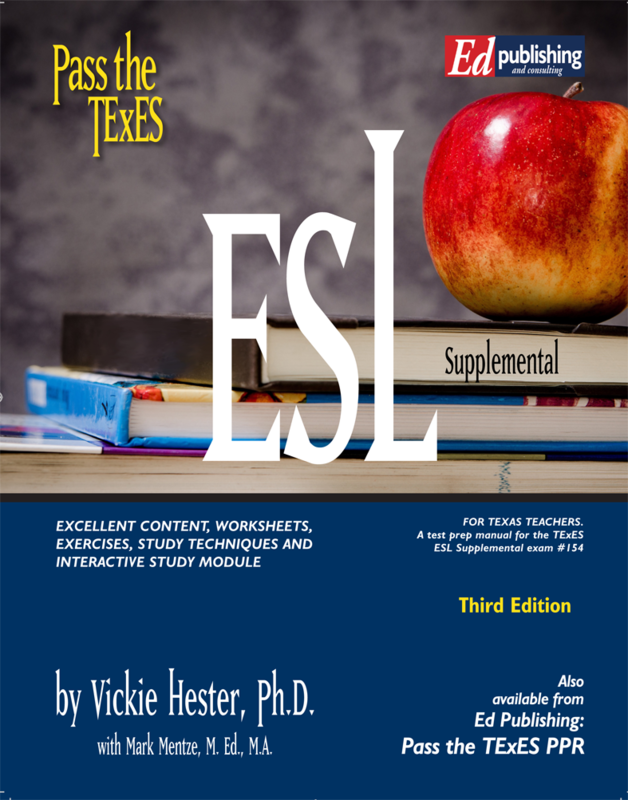 To check out the detailed content of this program go back to the home page and look at the yellow sample button beside the hard copy book listing. There are several pages spanning a few chapters...this is the exact content you will see in the ebook portion of the module.